It was Wendy’s birthday yesterday and Gerry’s birthday today so happy birthday guys! Hope both of you had really wonderful birthdays and that all your birthday wishes come true *hug* During Gerry’s birthday dinner tonight, Wendy mentioned that I don’t blog as often anymore, which I know is shamefully true, I’ve just been caught up with so many activities and new things in my life, that blogging is no longer a daily habit. But… I’m blogging now! And I’ll definitely try to blog everyday in Kuching if possible. 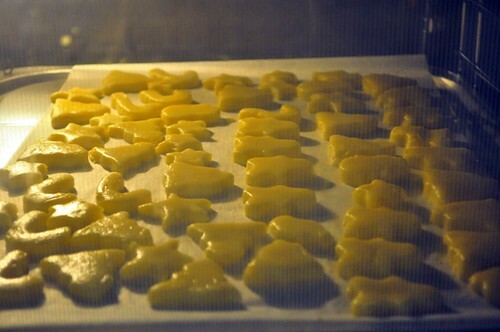 So.. we came up with the brilliant idea of baking Christmas cookies for our friends and colleagues. Scouted around for nice glass jars, Christmas ribbons etc. Which worked until my hand mixer of 3 years broke down and died. (T____T). BUT…. 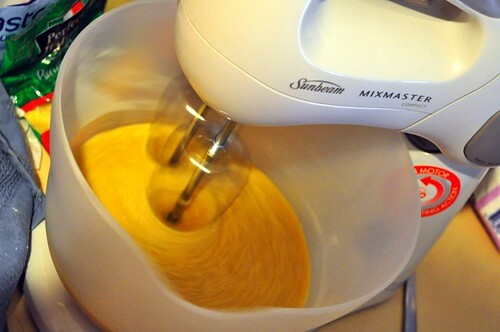 I got a real baking mixer instead!! So exciting !!! 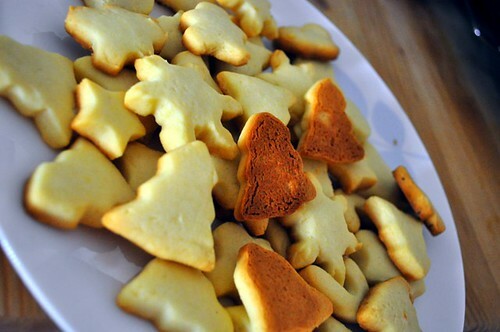 We baked really basic butter cookies and cut them into Christmas shapes.I am really not a baker at all, all that measuring and weighing kinda frustrated me. But the cookies turned out pretty cute which was good. But we also burned a batch when I forgot that they were in the oven. 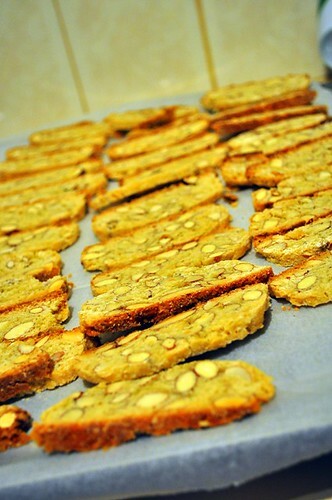 We also made almond biscotti which I think I overloaded with a gazillion almonds (I like almonds), crunchy and fragrant, I couldn’t help eating these and still steal a biscotti now and then. 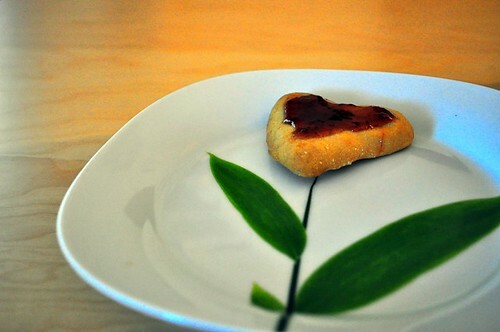 Leftover cookie dough makes for good strawberry jam filled biscuits. I’m bringing my cookie jar to work tomorrow, I hope it brings some Christmas cheer to an otherwise horrible Monday. We actually saved on our Project November budget and had money left in the bank. So the last meal I decided we could afford to splurge and we had baked eggs with leeks for entree. 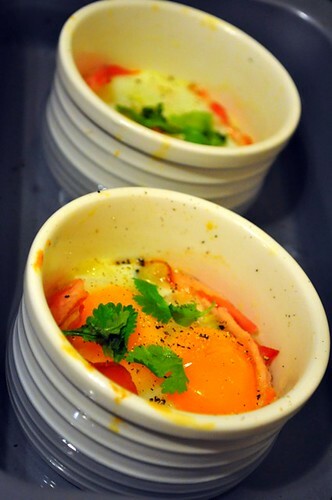 It was interesting baking eggs in the oven, it’s something I will try again with different variations. And I’ve decided that I like leeks. Chirashi sushi for main, yummy. 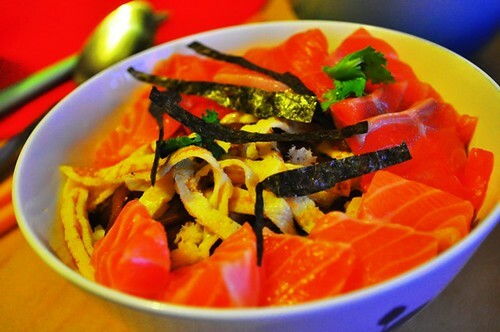 Our chirashi was made with salmon sashimi, crabmeat, braised bamboo shoots and eggs. Dessert was the Japanese castella sponge cake that I baked, my first baked cake in a long long time! My mum gave me this recipe and it was pretty good, easy to bake, light and simple. 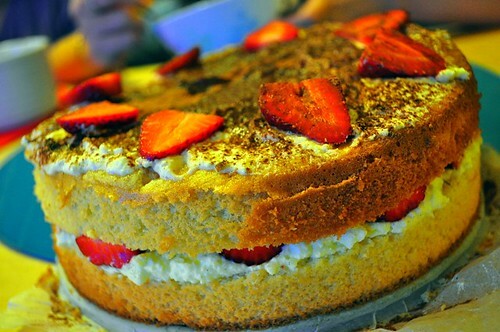 I sectioned the cake and sandwiched it with whipped cream and strawberries, topped it with more cream and cocoa powder dusting. It didn’t end there, Richard surprised us with abalone for supper, haha luxurious or not? They were caught by Wendy and Jason, so thank you! 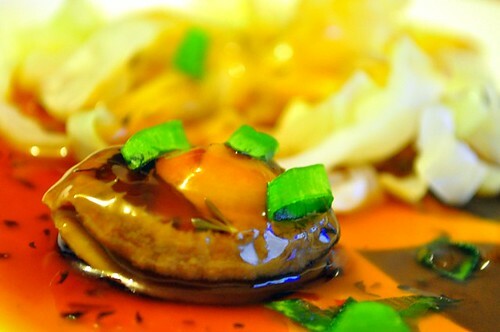 The abalone was nice, he slow cooked the abalones overnight so they were tender but still bouncy. A random brekky pic! 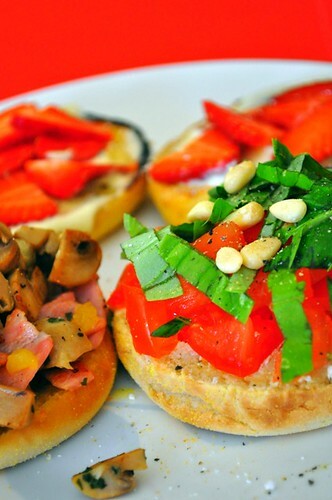 I like making breakfast nowadays and this is a trio of bruschetta which I was experimenting for Wendy’s birthday tidbits, mushroom and parsley bruschetta with mozarella, chopped vine tomatoes and basil with pinenuts on cream cheese bruschetta and strawberries with mascapone cheese and drizzled honey bruschetta. Which one is your favourite? Ok, time for bed now, good night! !